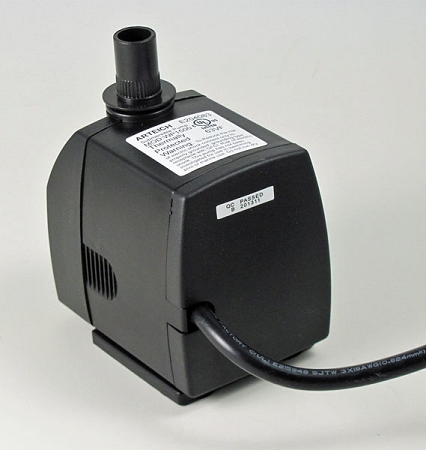 With a maximum flow rate of 400 gph and an excellent maximum lift of 8.3 ft this utility pump is a middle range pump for use in fountains, aquariums and general fluid transfer needs. 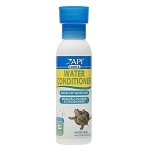 The compact design features a combination dial flow-control and intake resulting in a very versatile pump that fits almost any medium to taller statuary piece or other smaller space. 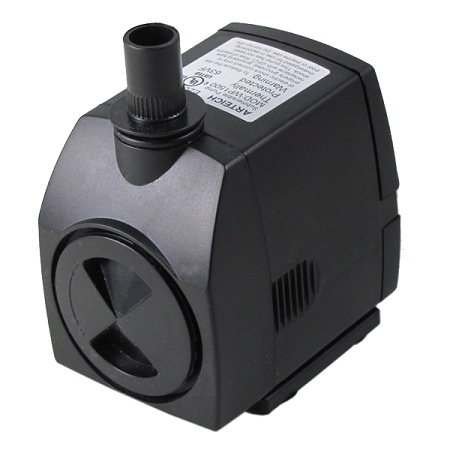 This pump has been optimized for flow and works best for pumping heights of 4-8ft. 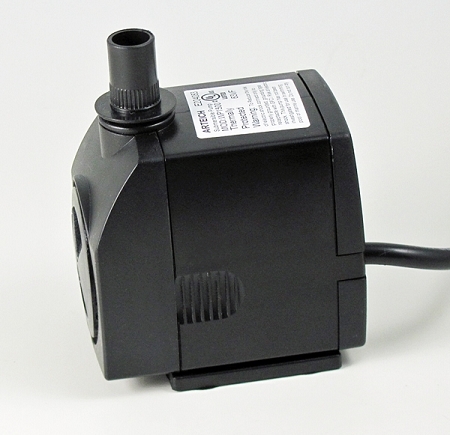 The pump comes complete with three outlet adapters making it an ideal replacement pump. 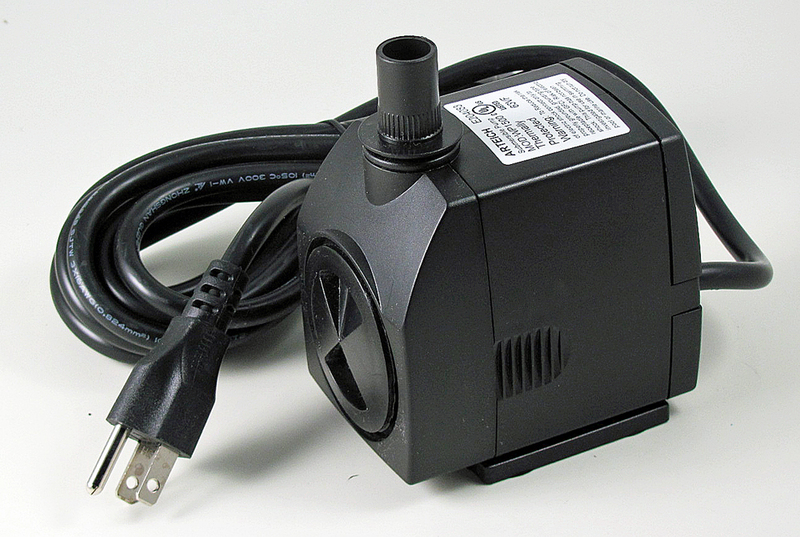 The shorter cord works well for applications where an outlet is nearby such as pedestal style fountains, holding tanks, rain barrels, etc. Three (3) year limited warranty, UL approved for indoor and outdoor use. This pump compares in flow to the Fountain Pro 345, Arteich 345, Arteich RO1300. For a similar flow with higher lift consider AT530P.